Original topic post is from GarageBand 11 Tutorial recommends Foreversave? Re: GarageBand 11 Tutorial recommends Foreversave? You are correct that ForeverSave no longer has a free version, although you can download a free trial. I'm using it with GarageBand, and it appears to work fine. Just click the plus sign under "Library" to add GarageBand as an application. Thanks for the kind words. This was my first full course for MacProVideo, so I'm happy to hear it's being well received. I'm working furiously on finishing the KOMPLETE course, which I hope will be even better! One thing to check is to see if your Mac is capturing the function keys before KORE can. For example, you may have F4 assigned to Dashboard which would take precedence over KORE's reading the function keys. This is easy to fix. Just go to System Preferences and check under "Keyboard & Mouse" for Keyboard Shortcuts. Remap any that are conflicting with KORE. You may also need to go to "Expose & Spaces" and remap those keys also. There's one other thing that may be happening. On some Mac keyboards, you have to hold down the "fn" key as well as the function key to activate the function key (like you hold down Shift to get a capital letter). On the keyboard I'm using now, if I press the key labeled F4 and with a 'speedometer' icon, I get the Dashboard, but if I hold down the "fn" key and THEN press F4, I get an F4. Hope this helps. Just wanted to apologize to everyone for the delays in completing the Advanced Kontakt course. I wanted to make the course very thorough, and it took longer than I had expected. The course is done and it's four hours long! We're working to get the final sections up as quickly as possible. I think you're going to be very pleased with the results. Have fun with the course, and I look forward to hearing your feedback. Now that Advanced Kontakt is done (all four hours of it! ), I have started to gather some ideas for a "Native Instruments Tips and Tricks" course. This would consist of 20-minute-ish videos delivered each month that covered various tips and tricks with Kontakt, Massive, Battery, Reaktor, Kore, and the other Native Instruments synths. Steve H. has had great reviews for his Logic Tips and Tricks videos, so I wanted to follow in the steps of a master! I'd love to hear from those of you who have purchased my Native Instruments tutorials to get your feedback on (a) what you think about a Tips and Tricks course and (b) any ideas for topics you would like me to cover. Thanks for your input! Hey, Bandwidth. 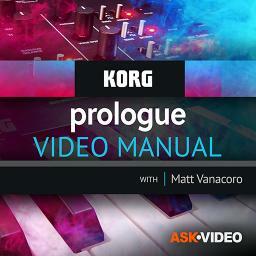 Did you check out the KOMPLETE tutorial I did for MacProVideo? There's a great REAKTOR tutorial which takes you through the basics, as well as a bunch of instruments. That said, I am thinking about a REAKTOR Tip and Trick for one of the upcoming months. I'm hoping to do a What's New In Reaktor tutorial as soon as 5.5 comes out. The new version of Reaktor has some cool tricks up its sleeve. I hope to do a Tips and Tricks on it when it is officially released. I'll make sure to cover using it as a multichannel sound module. Stay tuned to the Tips and Tricks series. I'll be doing a "What's New In Reaktor 5.5?" soon! First of all, let me apologize for the length of time it has taken me to respond. I have been away without computer access. Colin is absolutely correct. You can select an instrument from the drop down list or by MIDI and change its parameters. But, you can not change the instrument without opening up the Instrument Editor. When I speak about "mapping a sound," I should have been clearer that I meant the characteristics of the sound and not the sound itself. Thanks so much for pointing out the error. 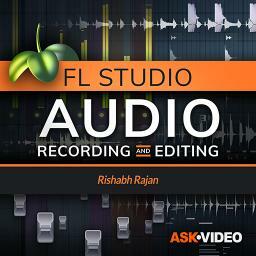 Hi, We are using Cubase Element 9.5. In the software I didn't find out any option for pitch bend range selection. 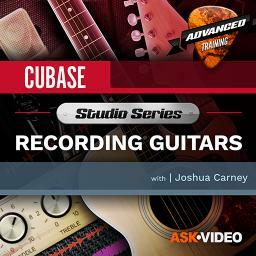 In Cubase SX3 that feature is present. I need to know if it is possible to select the pitch bend range in Cubase Element 9.5.If yes, How?